It requires a high degree of confidence to claim that you’re like nothing else on the market. But for Roberto Boghossian, head of sales and commercial development at Geneva-based Boghossian, it is a matter of fact. One of the high-end jewellery house’s exceptional bracelets fetched a record price at Christie’s Magnificent Jewels sale in Hong Kong this year. A fine design based on a medieval manuscript, it had taken Roberto’s uncle Albert, a sixth-generation jeweller and CEO of the company, 10 years to find the stones for it and a further 18 months to craft the unique piece of jewellery. While many brands take pride in their long traditions and meticulous process in the selection of gemstones, fewer have the audacity to lay claim to their own distinct jewellery-making techniques. Boghossian, which can trace its roots back to Armenian gem traders in 1880s Mardin, Turkey, can claim not one, but three: first, a specific expertise in the art of inlay, which then evolved in 2012 into its proprietary Kissing Gems technique, in which one gemstone is set within another. Boghossian, which opened its first showroom in Hong Kong in 2013, is cherished by the city’s well-heeled and sophisticated set, who recognise the jeweller’s dedication to its craft. 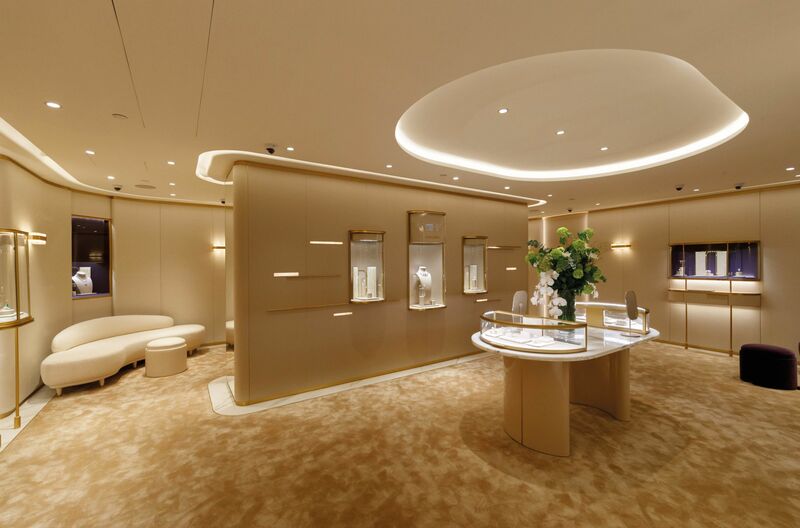 Today, with boutiques in prime locations around the world, including Geneva and London, the jeweller has decided to open a new shop in Landmark Prince’s to provide an even better service for its clients here. “It’s the right evolution for the brand,” says Roberto. Client opinions clearly matter to the brand. For the first time, Boghossian has launched a themed high jewellery collection, which is inspired by the Silk Road, a topic close to the family’s heart as it was along this route that their predecessors travelled over decades from Turkey to eventually settle in Switzerland. Boghossian’s Hong Kong-based creative director, Edmond Chin, a man Roberto describes as a “true genius,” has worked closely with the family to design the new line, Silk by Boghossian. Highlights in the collection include Samarkand, a vivid cuff bracelet of coral, lapis lazuli and turquoise made flexible with more than 100 almost invisible hinges and delicate rows of coral beads. Another masterpiece, Nishapur, interprets the majesty of the Sassanid court in a regal sautoir necklace crafted with seven round Colombian emeralds inlaid into pure white jade. Xian showcases cloud patterns in mother-of-pearl, an auspicious motif in Chinese culture, said to bring the wearer good fortune and success. Delightful and thoughtful, Silk by Boghossian is filled with stories to romance anyone.